Those of us who have lived and worked under the Florida sun know first-hand what the summer heat is like. Working outdoors in the summer heat may require taking some extra precautions to protect yourself from the possibility of heat exhaustion or heat stroke. Heat stroke is a very serious medical condition that occurs in excessively warm environments when your body overworks itself in an effort to stay cool. The symptoms of heat stroke include: hot, dry skin, an elevated body temperature, nausea, chills, confusion, anger, delirium, dizziness, convulsions, and unconsciousness. If not treated immediately, heat stroke can be fatal. To avoid a possible heat stroke, schedule those grueling outdoor jobs for the cooler hours of the day, such as the early morning or evening when possible. When it is necessary to work outside in the heat, you should be drinking about eight ounces of water every 15-30 minutes. Stick to water rather than soda or sugary sports drinks as sugar and caffeine can promote dehydration. Alcohol, drugs, and some medications may also cause dehydration. Wearing clothes that are lightweight, light colored, and loose fitting can also aid in staying cool to prevent heat strokes. Employers should be aware of the signs of heat exhaustion and heat stroke, and ensuring workers are taking appropriate breaks and drinking the water they need. Workers can help each other by keeping an eye out for signs of distress and encouraging each other to take the proper precautions while in the heat. Working together can help prevent heat exhaustion, or worse, heat stroke. For over 46 years, Central Florida Health Care has been providing high quality, compassionate care to the Polk, Highlands, and Hardee communities. Then and now, your health and well-being is our highest priority. With 14 clinics offering medical, dental, pediatric, OB/GYN, along with pharmacy, lab and X-ray services, our culturally diverse, bilingual, and experienced staff are available to meet your healthcare needs. We accept a wide range of insurance plans, and also have options for those who may be uninsured or without healthcare coverage. For more information or to schedule your appointment, call (866) 234-8534. 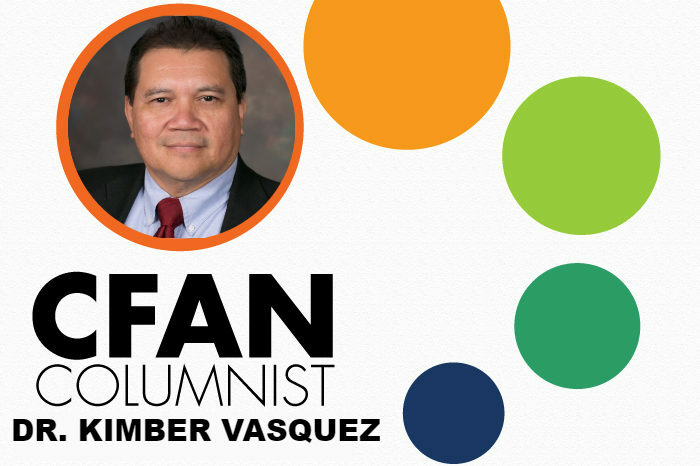 BIO: Dr. Kimber Vasquez is a general practice physician with Central Florida Health Care, Inc. He received his education from the Universida Autonoma de Sinaloa, and currently treats his patients at the Avon Park location. To make an appointment with Dr. Vasquez or with any of our providers at our 14 different locations, call (866) 234-8534 or visit cfhconline.org.